25000 people whose health will benefit, 5 communities, 5 schools involved in the program, 2850 children, 8850 direct beneficiaries, 16075 indirectly involved. These are the numbers of the ABF project “Mobile Clinic”. “Health is not everything, but without health everything is nothing”. (Arthur Schopenhauer). 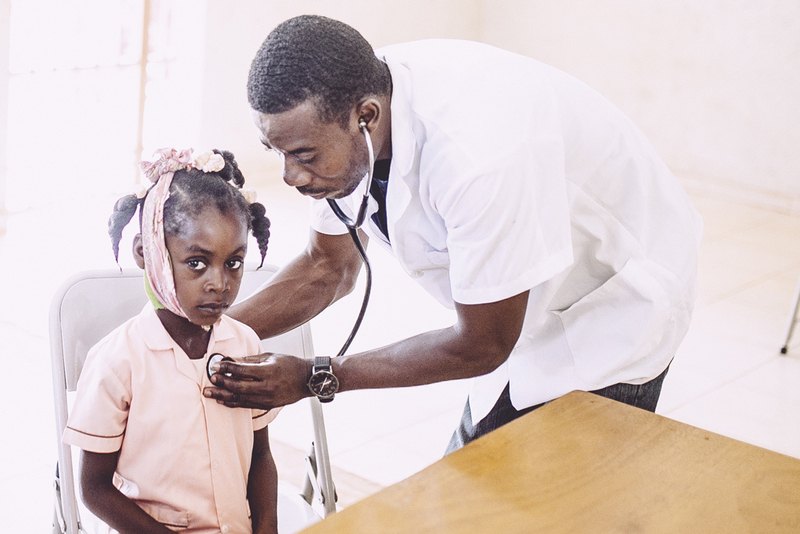 In Haiti a series of public health emergencies also motivated by improper diet, lack of hygiene and unhealthy lifestyle, risks to put heavy unknowns on life expectancy and on its quality as far as inhabitants, especially children, are concerned. The state of good health in childhood is essential in view of the training – physical and psychological – of new generations. This is why ABF and St Luke Foundation are working on a health related program, in the schools they are responsible for, so that all students may be covered by health insurance. A program that involves also the communities to which belong the children with the opportunity, for all, to have access to medical care. In fact it will cover students (from 2 to 24 years), but also teachers and those who work inside schools, as well as the communities to which students belong. Medical equipment will be provided, as well as health care staff and free access to medicines. 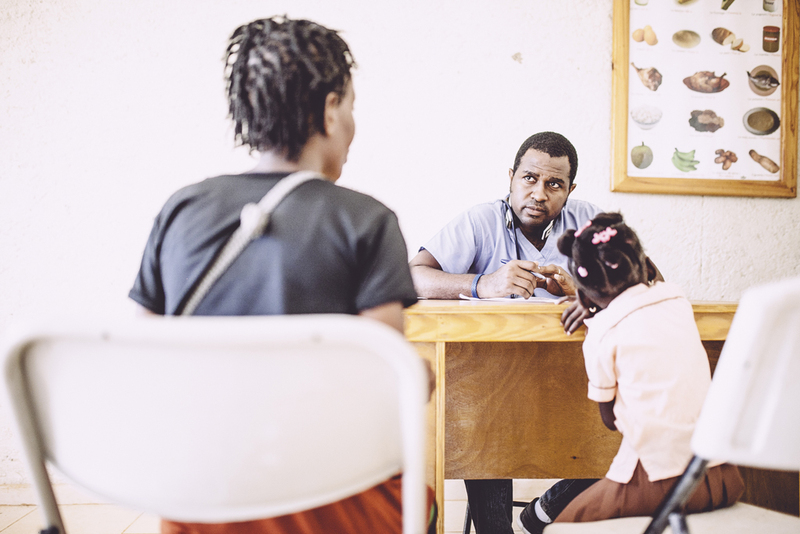 A mobile clinic (with two doctors, three nurses and three auxiliaries) will spend one or more days in each single community on a quarterly basis. Among the activities, also a program of vaccinations and a targeted distribution of medicines such as multivitamins, anti-flu, anti-parasitic, antibiotics, antipyretics, anti-hypertension, anti-diabetic. 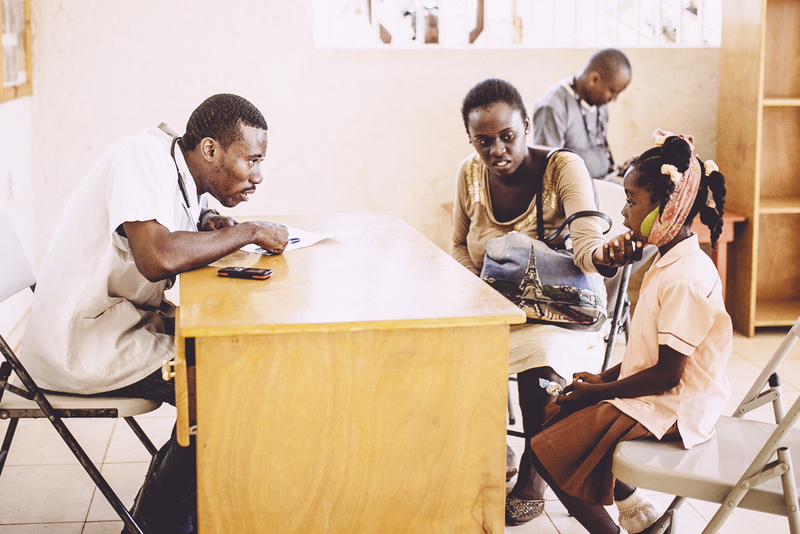 In the event that during screening are detected severe diseases, there is the possibility of immediate transfer to the St. Damien Pediatric Hospital or to the Saint Luc Hospital, located in Tabarrè, Port-au-Prince. The medical staff also carries on training activities on hygiene and nutrition to students and their families. At the expense of ABF, the coverage of medical and nursing staff’s costs, the supply of medicines, the training on hygiene and nutrition to the students and their families, and the transportation of critical patients to the above hospitals. Several are the targets of the projects, from identification and treatment of important pathologies to the prevention of infectious diseases in schools and communities, from the identification of possible child abuse, to the screening at an early stage of any kind of disability and diseases as blindness, low vision, mental problems, deafness, epilepsy, malnutrition, asthma and more. There will also be seminars on health, directed to prevention, from hygiene to the many issues related to sexuality. The areas in which the project will take shape are: Jérémie, La Seringue (for this area is expected the presence of the mobile clinic from 3 to 7 days per visit); Kenscoff, St Philomène School; Croix-des-Bouquets, Notre Dame du Rosaire and Jérémie School, Dame Marie, Manitane School and communities. More areas that will be soon involved, De Varenne Grande Rivière, Fondwa – Jacmel (St. Raphael School and communities connected to it).